ERUPTIONS OF THE VOLCANO OF FIRE HAVE LEFT A PATH OF DEATH AND DESTRUCTION IN SOUTHERN GUATEMALA. SOME SURVIVORS FEEL NO HOPE, BUT WE ARE THERE TO COMFORT THEM AND DEMONSTRATE THAT GOD’S LOVE NEVER FAILS. Many in southern Guatemala lost their homes in a split-second to a surge of lava and ash. Some lost multiple family members, instantaneously buried under the boiling aftermath of volcanic eruptions. The pain is deep and searing, nearly too much to bear for some grieving survivors. 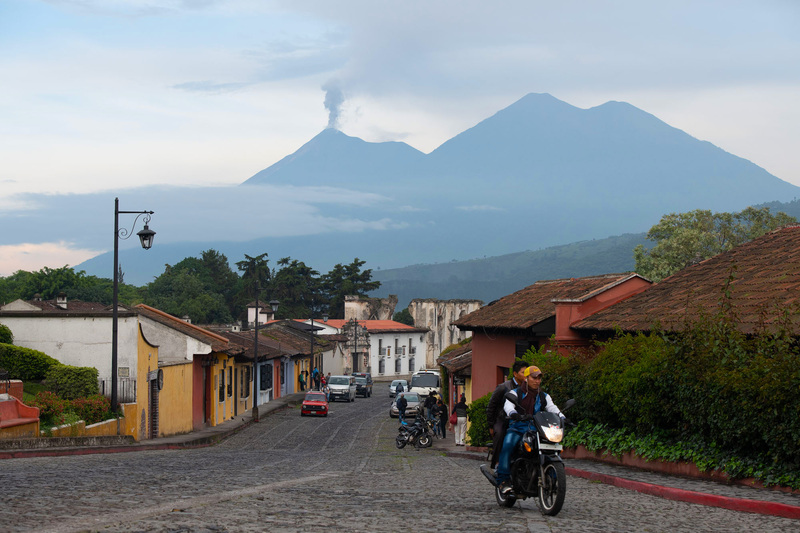 Volcano Fuego recently erupted forcing thousands of distressed residents to flee. The death toll has risen to 110, with almost 200 people missing. The volcanic eruptions have affected an estimated 1.7 million people, including the nearly 13,000 who’ve evacuated their homes. More than 3,600 people are living in emergency shelters. Over 900 homes were damaged or destroyed, as well as 24,000 acres of farmland. We are supporting local ministry partners, churches and other relief organizations and have come alongside them to hand out food, water filtration kits, hygiene kits, clothing, mattresses, and other relief supplies. We also distributed water chlorination systems for 15 emergency shelters. Some of the water supplies in the area have been contaminated by the volcanic ash. Most important, we’ve been able to pray one-on-one with several grief stricken survivors desperate to hear that they have not been left on their own. Samaritan’s Purse is working in Guatemala through ministry partners to help people who have fled for their lives following a deadly eruption of Fuego Volcano. “This is a big opportunity to show them that God still loves them,” said Angel Jordan, a Samaritan’s Purse staff member who helped with the response. 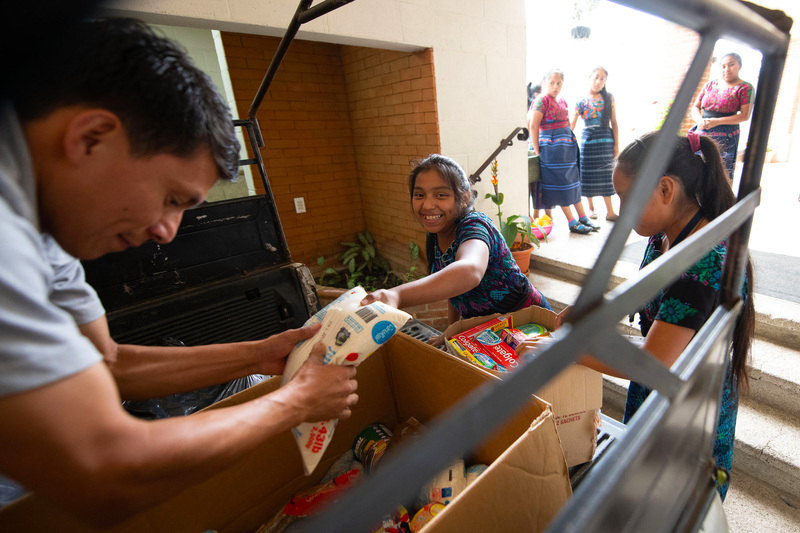 Angel also works with our Operation Christmas Child project, and that project’s National Leadership Team in Guatemala has been providing logistical support to our relief efforts. Two chaplains from Costa Rica, trained by the Billy Graham Evangelistic Association, also are on the ground to minister to families. “God is with them, and we are with them as well to give them hope—and the hope that Jesus can bring,” Angel said. Pray for grieving survivors, that they might draw comfort from God’s unconditional love. Pray also for our ministry partners in Guatemala as they go the extra mile to care for their communities in their time of need. “We are tired, and so we ask God to give us strength because we need it to continue to take care of our brothers,” said Pastor Marion Tzorin.